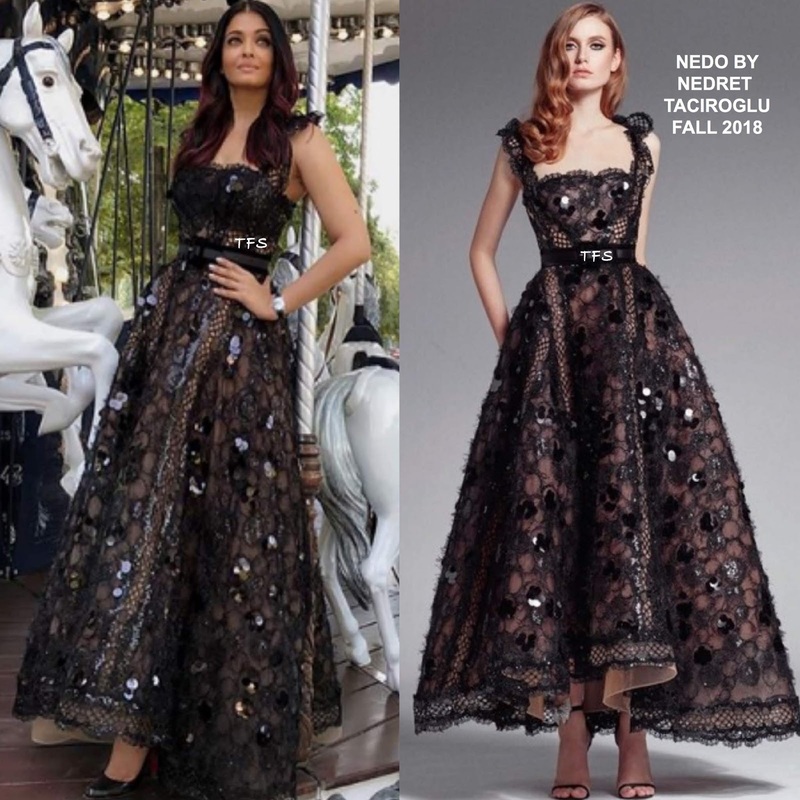 This weekend, Aishwarya Rai's stylist Aastha Sharma posted to her instagram page, Aishwarya's look at the Longines Paris Eiffel Jumping event. She posed for the gram wearing a NEDO BY NEDRET TACIROGLU FALL 2018 black lace pachwork gown with beadings, ruffle straps, a cinched waist and a slight high-low hem detail. I thought this was a lovely gown on Aishwarya but I would swap out the CHRISTIAN LOUBOUTIN pumps for simple ankle strap sandals. Also I wish the hair was completely off-the-shoulder or in a side swept style similar to the model's. What do you think of Aishwarya's instagram style?